In this short video David Austin, author of Dread Poetry and Freedom: Linton Kwesi Johnson and the Unfinished Revolution (Pluto, 2018) talks about how he first encountered the poetry of Linton Kwesi Johnson, and why he has chosen Johnson’s work as a prism through which to reflect on questions of social and political transformation. 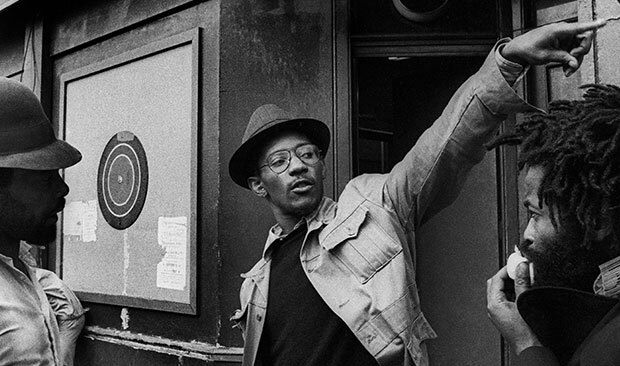 Standing at the forefront of political poetry since the 1970s, Linton Kwesi Johnson has been fighting neo-fascism, police violence and promoting socialism while putting pen to paper to refute W.H. Auden’s claim that ‘poetry makes nothing happen’. For Johnson, only the second living poet to have been published in the Penguin Modern Classics series, writing has always been ‘a political act’ and poetry ‘a cultural weapon’. In Dread Poetry and Freedom – the first book dedicated to the work of this ‘political poet par excellence’ – David Austin explores the themes of poetry, political consciousness and social transformation through the prism of Johnson’s work. Drawing from the Bible, reggae and Rastafari, and surrealism, socialism and feminism, and in dialogue with Aimé Césaire and Frantz Fanon, C.L.R. James and Walter Rodney, and W.E.B. Du Bois and the poetry of d’bi young anitafrika, Johnson’s work becomes a crucial point of reflection on the meaning of freedom in this masterful and rich study. In the process, Austin demonstrates why art, and particularly poetry, is a vital part of our efforts to achieve genuine social change in times of dread.